Health and Fitness Den: Comparing Sole Fitness E95 versus Sole E35 Elliptical Trainer Machine, What's the Difference? Comparing Sole Fitness E95 versus Sole E35 Elliptical Trainer Machine, What's the Difference? The Sole Fitness E95 and the Sole E35 Elliptical Trainers are both top quality machines that come highly rated, offering a great range of workout programs, resistance levels and inclines for variety and challenge. The Sole Fitness E95 is considered to be slightly sturdier than the Sole E35 elliptical trainer and as such is considered to be more suitable for heavier/more intensive use. 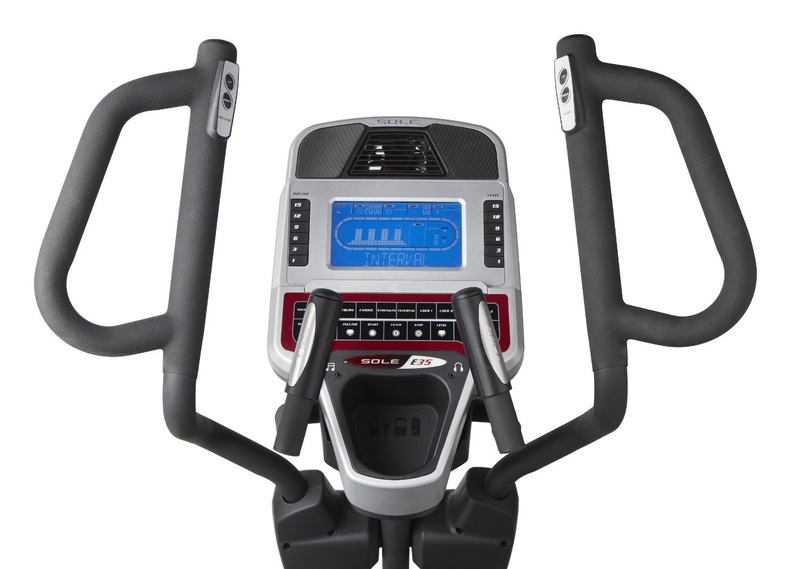 The Sole E35 is considered to be mid-range between a home and commercial elliptical trainer, whereas the Sole E95 is considered to be closer to a commercial elliptical trainer and as you would expect carries a slightly higher price tag. The Sole E95 incorporates heavier-weight flywheel compared to the E35 (34 lbs versus 29 lbs). 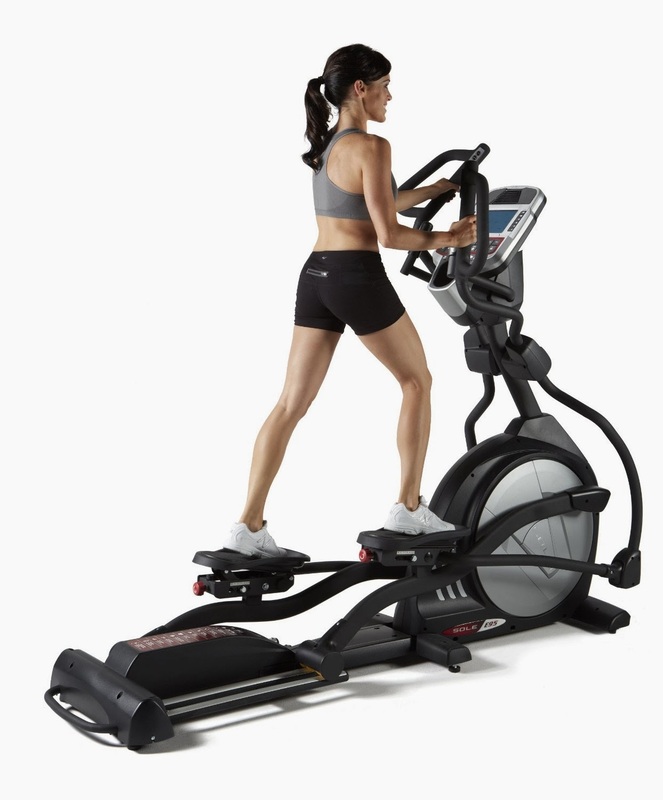 Both elliptical trainers utilize a Quiet Drive system with ECB magnetic resistance. Both elliptical trainers have a power adjustable 20-22" stride length and both can be used in forward and reverse motion. Both the Sole E35 and E95 Elliptical Trainers feature 10 workout programs, 20 resistance levels, and 0-30 degrees power adjustable incline. Both machines offer pulse grip and chest-heart rate monitoring. 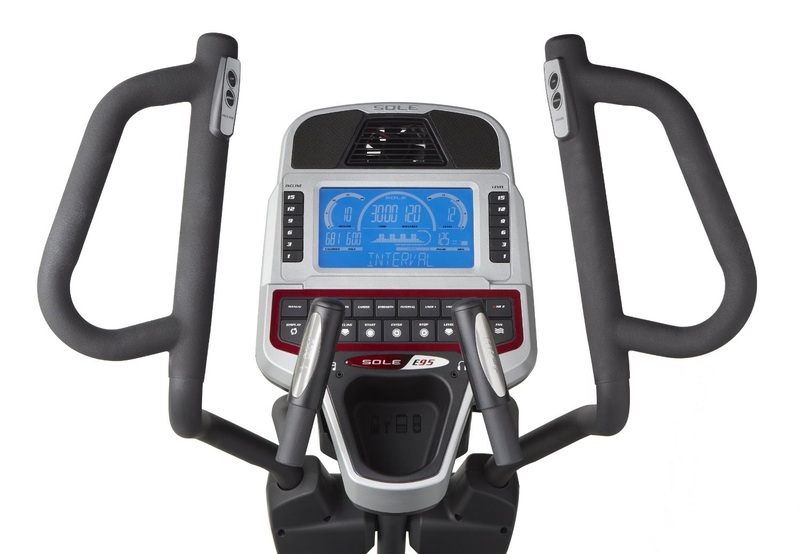 Both consoles feature a blue backlit screen to display motivating workout stats, but the size of the display window is different on each machine, with the Sole E95 having a 9" display while the E35 has a 7.5" display. The Sole E35 and E95 feature dual handlebars, moving and static, so you can choose to work both your arms and legs together or just your legs. Both elliptical trainers have 15" adjustable foot pedals. The foot pedals are constructed with a 2 degree inward cant that helps to reduce stress on knees and ankles. Additional premium features on the Sole E95 and E35 include built-in speakers for iPod and MP3, built-in cooling fans, water bottle holder, and a heart-rate chest strap included. Useful Tip: A 30 minute workout on an elliptical trainer will burn approx. 310 calories for women and 378 calories for men. · Quiet drive system, both forward and reverse action. · 20-22” power adjustable stride length. · 15” adjustable foot pedals. · Oversized foot pedals with 2 degree inward cant to help reduce stress to ankles and knees. · ECB magnetic resistance (for smooth and quiet operation). · Power adjustable incline from 0-30 degrees. · Moving and static handlebars. · 10 programs: 6 standard, 2 custom, 2 heart-rate. · Pulse grip and chest-heart rate monitoring. · Sound system, built-in speakers for MP3 and iPod. · 4 rear wheels on heavy duty rails for super stability. For peace of mind, both the Sole E95 and the Sole E35 elliptical trainers come with a Lifetime warranty on the frame, 5 years warranty on electronics and parts, and 2 years warranty on labor. Elliptical trainers, also known as cross-trainers, are a great way to exercise without putting pressure on your joints. Because you are basically simulating walking/running rather than actually impacting on the ground, elliptical trainers give you an impact-free workout and are ideal for anybody who wants a gentler form of exercise and they are particularly good for anyone who suffers from joint pain. 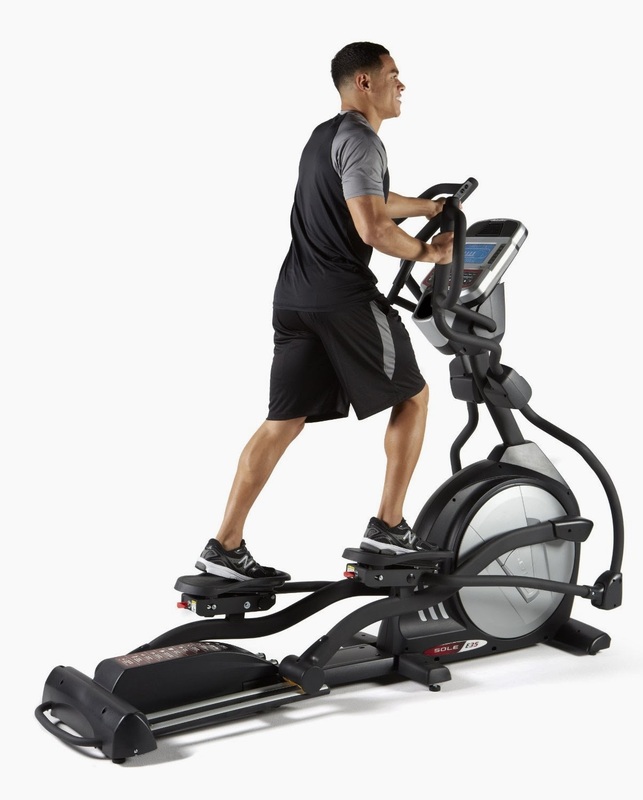 Elliptical trainers work in the sense that the handlebars and foot pedals exercise your arms and legs in an action comparable to that of skiing. For many people the Sole E35 elliptical trainer would be more than adequate to give them a good workout. However if you are prepared to spend a little bit more money, then the Sole E95 offers an upgraded console, a heavier flywheel and more stability for the heavier user. N.B. It's always advisable to consult your doctor or health care professional before undertaking any new exercise regime.